Is Miami’s film scene big enough for counter-programming against Miami Film Festival? 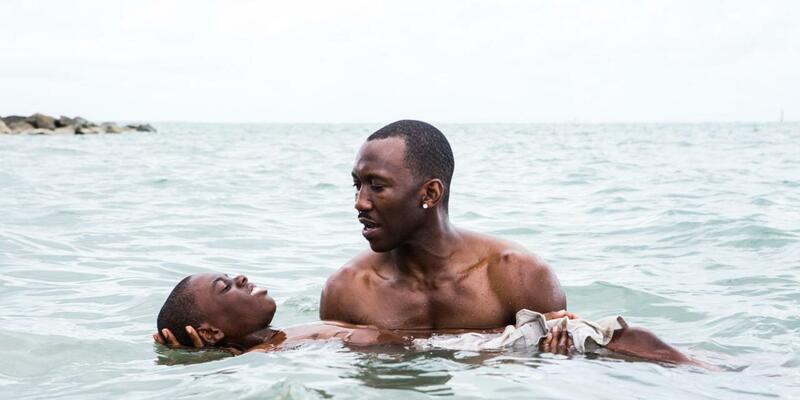 You know Miami’s film scene is thriving when counter-programming rears its glorious head. 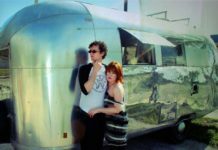 After all, what would Slamdance be without Sundance? 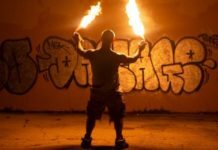 On the advent of Miami Dade College’s Miami Film Festival’s third iteration of Gems, a sample of indie and world cinema films unfolding like a mini version of their annual March festival at the Tower Theater in Miami, the Miami-centric Borscht Corp. announced a “surprise film festival” they called Borscht 9.5. The almost week-long series of events by Borscht and Gems included parties and plenty of guests. As Gems took its time to build hype for its opening night featuring the new Rolling Stones documentary (The Rolling Stones Olé Olé Olé! 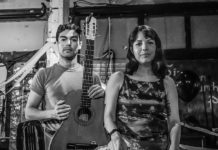 : A Trip Across Latin America sets celebratory tone for GEMS opening night in Miami) and Stones-themed after party, Borscht announced its festival less than a week before its first screening. Referring to its films as “the real Miami gems,” buried deep in their press releases and redirecting to their website (just type “realmiamigems.com” in your browser), Borscht’s festival included three feature films by directors who first produced short films for earlier Borscht film festivals, MA, Jacqueline (Argentine) and Moonlight, plus a series of shorts programmed by Memory, a small indie distributor of MA, which we reviewed earlier (MA expands your mental horizons through images — a film review). They also claimed Secret Celluloid Society and O Cinema Miami Beach’s 35mm screening of David Lynch’s Fire Walk With Me as their final screening, although it was scheduled months earlier by SCS and O Cinema. Still, Laplante says, this seeming acrimony won’t deter him from giving Borscht-produced films a fair shake when considering them for future Miami Film Festivals. “We support Miami film, including what Borscht has to offer,” Laplante says. “We will continue in our mission to support local filmmakers,” he vows. Borscht gave itself a head start Wednesday night with the shorts series screened at the Coral Gables Art Cinema in conjunction with the Miami Film Development Project. Like every Borscht 9.5 screening, it started on Miami time, a bit late, but accommodating for every night I was late to the screenings. The shorts event was compiled by Memory with some input by Borscht with the new Sebastián Silva-directed short, “Dolfun,” featuring the director swimming with dolphins yet expressing conflicted feelings about it in a voice over. The waffling got dull quick, though. You sort of got the point after a few minutes, so it could have benefited from some editing. The following night was MA by director/choreographer Celia Rowlson-Hall. The festival was announced with such short notice that when we first heard of MA we had no idea it was part of this Borscht festival (see Miami Beach Cinematheque’s calendar page). Rowlson-Hall was present to introduce the film briefly and after was interviewed by Independent Ethos contributor Juan Barquin in a Q&A discussion (he also interviewed her on his website, Dim the House Lights), where she discussed everything from making a movie on a small budget with her friends — not to mention her ex, who played opposite her in the movie — and the symbolism in her movie. Barquin, however, noted that his favorite question came from an audience member who took her to task about the whiteness of her film. She answered the question with keen awareness, noting that her collaborators happened to be her friends who volunteered their time and sacrificed their comfort to work in the desert with her. She also noted that her next film, something about a bearded mother raising a child on a desert island, will somehow address the lack of color in MA. Meanwhile, Gems kicked off their event with the Stones, a much lighter note and surely a crowd pleaser. The following day, the choice for this writer was either Jim Jarmusch’s documentary on Iggy Pop’s early years with The Stooges, Gimme Danger at Gems or Bernardo Britto’s first feature, Jacqueline (Argentine), at the screening room at the Faena hotel. As I first previewed Jacqueline (Argentine) in The Miami New Times, I was more curious about the latter. It’s unfortunate that this movie’s fate was prematurely sealed by an unfairly dismissive Guardian film critic after the its Sundance world premiere. 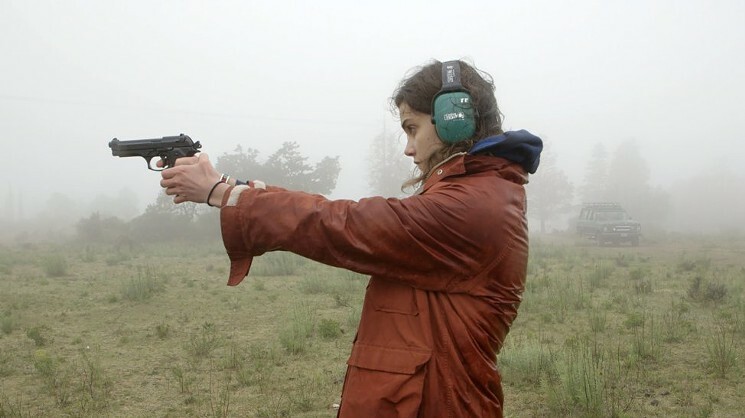 To counter this commentary, I would call Jacqueline (Argentine) one of the more genuinely uncompromising movies about the limits of the film medium when it comes to capturing the deeper questions of life. The evening began with Britto’s short, “Glove,” about an astronaut’s glove slipping away into the emptiness of space as it was contrasted against several depictions of mortality on earth, from the decay of physical structures to ruminations about nostalgia. It was rapid-fire with smoothly twisting stream of consciousness voice over. Anyone who has seen Britto’s Sundance jury winning short, “Yearbook,” will understand the mind behind this film. Britto was present and explained his urge to rewrite his script for Jacqueline (Argentine) while he shot the film in La Falda, a small town in Argentina, finding inspiration in the disturbing quantity of rotting dog carcasses his crew stumbled upon to the decidedly direct names of shops, like Cheese and Croissant. The little details resonate in a story that has no clear resolution but highlights the unresolved mysteries that define daily life, which is hidden below a narrative that superficially reads like a farcical send-up of Edward Snowden’s story. In typical Borscht fashion, they also Skyped in the film’s lead actress, Camille Rutherford, at an ungodly hour in France. She rubbed her eyes as she spoke about her attraction to Britto’s script from her bed from France, at 4 in the morning and attempted to field questions from an enthusiastic audience. It was also announced that the film will open in theaters and VOD on Oct. 21 via Gunpowder & Sky. Of the three features, Borscht 9.5 most notably included a sort of coup at the end of its festival, as it was able to offer several free tickets to the cast and crew Miami premiere screening of the highly regarded Moonlight, the second feature by Barry Jenkins, whose 2011 short film “Chlorophyl” was produced by Borscht. 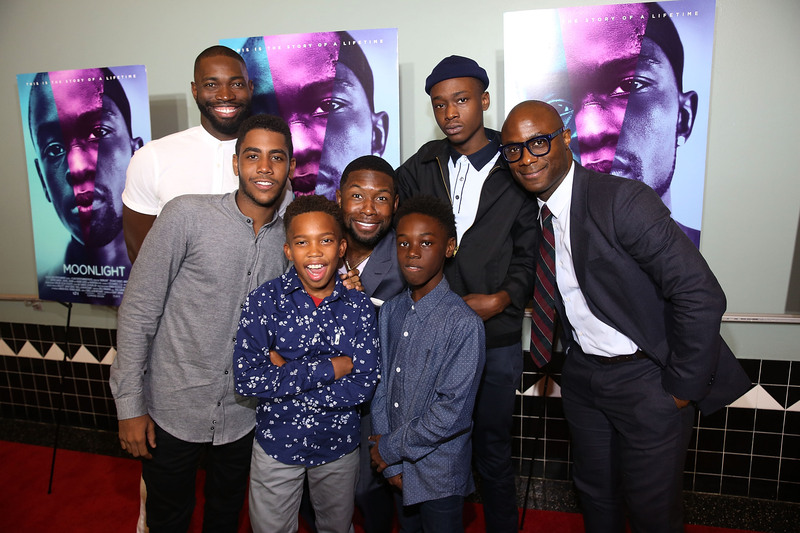 Jenkins, writer Tarell Alvin McCraney, who wrote the story the film is based on, plus actors Trevante Rhodes and Ashton Sanders, were all present, among other members of the mostly Miami cast and crew. This writer had seen the film during an earlier preview (a review is also coming), so Saturday finally marked the day I headed for the Tower for as many as three movies in one night, and the payoff at Gems came immediately with the heartbreaking drama by Ken Loach, I, Daniel Blake, which happened to have won the Palme d’Or at this year’s Cannes Film Festival. To top it off, at the end of Gems, the audience felt it deserved one more prize. On Monday, the Miami Film Festival announced that Loach’s film had won the Gigi Guermont GEMS Audience Award. The film moved much of the audience to tears without being manipulative, so I was not surprised. 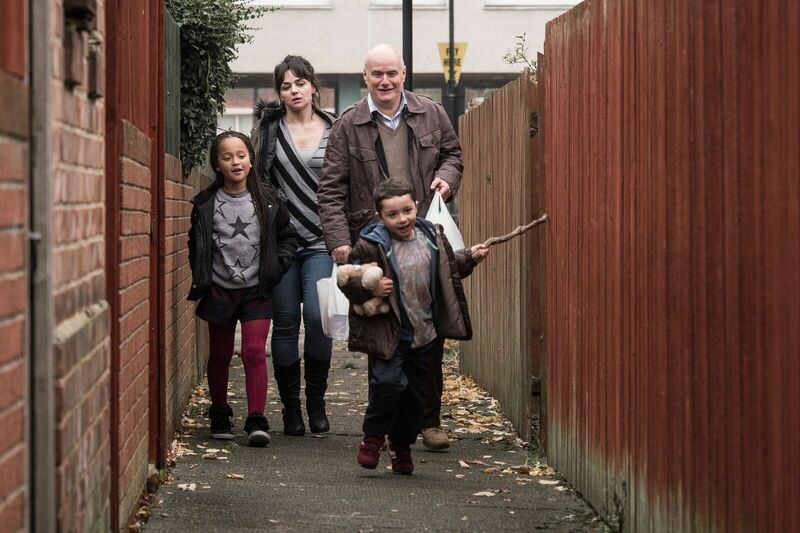 It’s a powerful movie that could have easily focused on Daniel Blake (Dave Johns) alone against a bureaucratic system designed to keep those in need down, but Loach and writer Paul Laverty have woven in a marvelous ensemble including Daniel Blake’s neighbor who finds a way to sell sneakers for half price and a range of social workers, including one who will undermine the system to help Dan and another who will side with it with a merciless, disturbing dedication to procedure. Then there’s Katie (a moving Hayley Squires), a single mom with two kids, who will go hungry to make sure not only her kids get food but also feeds Daniel after he volunteers his handyman skills to fix up her new rental. You won’t notice a manipulative score or flashy editing in I, Daniel Blake, but you will notice people in all their complexities, be they charming or chilly. Yet there is a sense that there are no human antagonists. It’s the system and how it continually lets down honest people just trying to survive. Loach, who has trafficked in this concern through much of his career, knows how to make the point with incredibly graceful filmmaking, and he is in top form with his latest film. It’s difficult to find another movie at Gems or Borscht 9.5, to come close to comparing with the quality of direction in I, Daniel Blake. Though I enjoyed Certain Women and Old Stone in previews (GEMS recommendations: Certain Women and Old Stone contrast in drama but share profound human insights), neither have the inherent, relaxed ease that Loach demonstrates in his movie. On the contrary, both feel like controlled exercises by comparison. Loach just takes it to another level, and the accolades are well deserved. The only film I saw that could have given I, Daniel Blake similar competition with that sort of natural yet potent style of filmmaking was Toni Erdmann by Germany’s Maren Ade. In his introduction to the film, Laplante noted that it is Germany’s submission to the foreign language category of the Oscars. He also said it stands a great chance to be one of the nominees come next year. But this is the Academy that gave The Assassin (another Gems premiere last year) the cold shoulder, and Toni Erdmann is a challenging film, whose message is quite subtle below sometimes screwball humor and running at two hours and 42 minutes. Showing incredible growth since her previous feature, Everyone Else (2009), Ade still has a sort of natural intimacy with her actors via loose, handheld camera work. This time, however, Ade, who also wrote the screenplay, demonstrates a sense of humor that took me by surprise because the movie isn’t just funny. Humor becomes lifeblood for these characters, as a father (Peter Simonischek) tags along with his daughter (Sandra Hüller) on a business trip to save her from becoming an icy corporate cog in the machine of capitalism. Tone and character are both exquisitely established with a single shot at the start of the film featuring the delivery of a package to the house of the father, Winfried Conradi. With the camera staying outdoors for the length of the scene, fixed on the profile of a delivery man who rings a doorbell and stands, waiting for someone to open the door, time is immediately established as a device to draw the audience in. The camera lingers long enough to make the audience wonder if the delivery man will just ring the bell again before Winfried finally opens the door. He refuses to sign for the package, however, as he claims it’s for his brother. There’s a sense of personal urgency in the delivery man, who has no interest in hearing stories, yet Winfried gives him a doozy. He casually notes that his brother had just got out of prison for sending mail bombs. There’s a natural timing going on in the joke that is taken to other heights, as the scene plays on, but also, the joke uses humor to defuse tension, something Winfried has made a career out of as a teacher in a middle school but that doesn’t always smoothly translate in life, as we will come to learn from his relationship with his daughter. What hooks you in this film is Winfried’s often desperate reaches for silly humor as a saving grace (he carries a set of false teeth to become his awkwardly buffoonish alter ego Toni Erdmann). It’s all often very funny from the outside, but under the weight of the father-daughter relationship, it becomes something else and builds to an incredibly moving yet hilarious finale that speaks to the pleasures that can be found in humanity’s inconsistency. Toni Erdmann stands in contrast to the only film I saw at Gems featuring a visiting filmmaker, Inseperables. 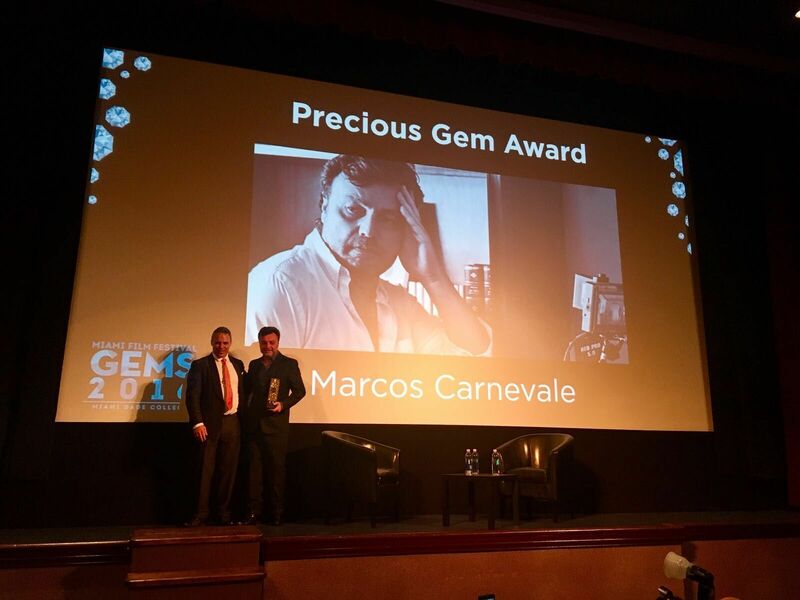 Argentine director Marcos Carnevale came to accept this year’s Precious Gem award and participated in a Q&A ahead of the U.S. premiere of his remake of the 2011 French film The Intouchables. He explained that the reason that the character played by Omar Sy in the French movie is not black is because Argentina does not have a community of Senegalese refugees. Instead, he went to a downtrodden neighborhood to find a character with the grit needed to represent the class divide between a caretaker and his quadriplegic millionaire boss. Carnevale found the amiable Rodrigo De la Serna, who looks a bit like Jeremy Renner, to play Tito, a happy-go-lucky guy with a streak of I-could-care-less sense of humor that feels refreshing to the rich patient (Oscar Martínez), Felipe, who is only surrounded by yes men/women. As a comedy, Inseperables delivers, but as a drama it seems a bit of a farce, as the pleasures that Filipe finds in hiring Tito are never explored beyond Felipe’s urgency to for a change from his well-behaved staff. Like the French version, the film could easily be criticized for a dated sense humor that is at times crass or sexist. But the problem really lies in the film’s lack of drama. Tito and Felipe get on too easily, from how easy Tito gets the job to how easy it is for him to leave it. Some conflict would have made the film a little more engaging. 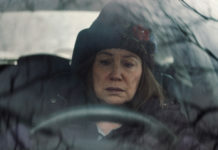 Otherwise, the film feels like a bubble bath, with the sheen of its high gloss production, befitting the well manicured castle that Felipe is restrained to, hiding the pain of his desire for human connection that the film undermines with its polish. Finally, I caught Neruda, a film that departs just enough from what you would expect of a bio-pic to make it worthwhile. However, something in this departure made it feel like a drag. 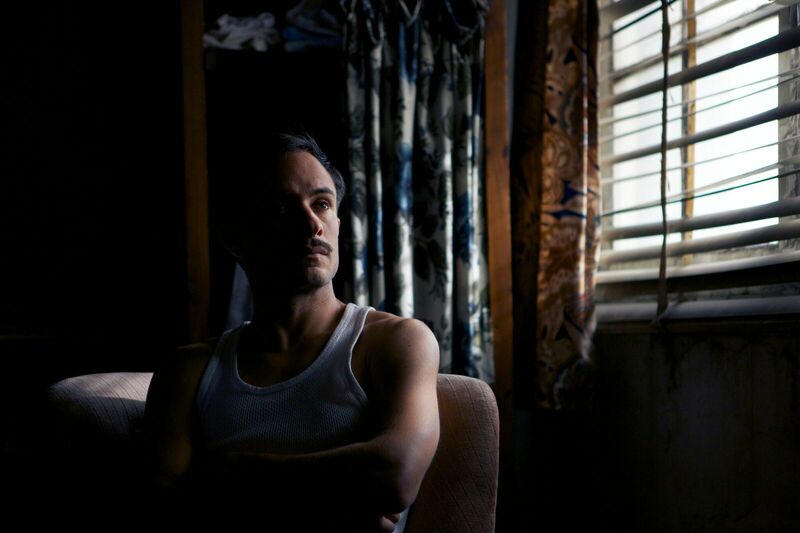 Despite the dirty filters director Pablo Larraín likes to use, Neruda is a pretty movie that builds to a terrific send off to the dauntless police inspector (Gael García Bernal) in pursuit of a fugitive Pablo Neruda (Luis Gnecco). There are lens flares aplenty, giving off patterns you probably have never seen in a movie. But it’s far from the spice necessary to make the film engaging for the length of its near two-hour run time. In fact, it feels longer. The hushed but poetic (what else?) voice over by Bernal can come across as droning at times. And when the camera swirls around its subjects during several scenes, it’s less intense and more lulling and hypnotic. Thankfully, the film features plenty of sardonic humor that doesn’t make Neruda a hero as much as an idolized but flawed hero who wore his ego too proudly, speaking to the ideological failings of communism. The film also has an odd sense of green screen use. There are close-ups on characters in or on vintage vehicles of the period that alternate between location and green screen with a haphazard inconsistency. But maybe, like Larraín’s hyper filtered lenses, it speaks to the filter of nostalgia and the romanticizing of fame, hero worship and ideology the film seems to skewer. Though a couple the films at Gems were misses, others were pretty good and some will probably stand as some of the greatest I have seen this year. Meanwhile, Borscht highlighted new talents who had their actual start in Miami and continue to grow as filmmakers. It made for an incredible, if exhausting, week of film-going that transcended both festivals because, in the end Miami wins as a place that has truly blossomed with a film scene that has plenty of room to grow.